It's the first Monday of the month, and that means it's Block of the Month Day! After just about killing myself last month getting caught up on BOMs, I am determined not to get that far behind again! So this weekend, I made all the BOMs for which I already have the fabric. First, the easiest one. 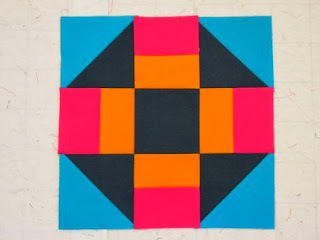 It's the 2013 Patchwork Party block. This year, the blocks are laser-cut and ready to sew when they come in the mail. What a great idea! Yes, the edges of the pieces look a little "singed." That's a result of the laser used to cut the fabric, but not to worry, it's all hidden in the seam. 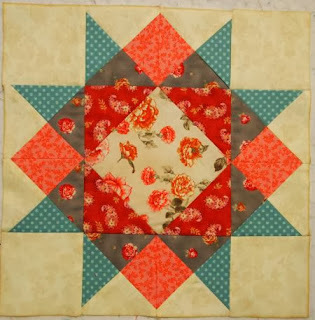 Next up, the other two Patchwork Party blocks. The one on the left is from 2010 and the one on the right is from 2012. Both blocks are the same design, "Waring Square." 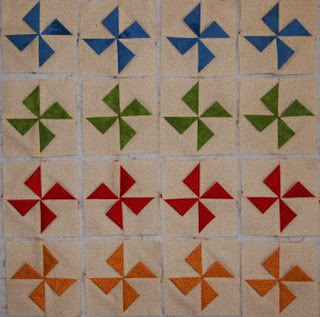 Both the 2010 and 2012 Patchwork Parties use Marti Michell's templates. 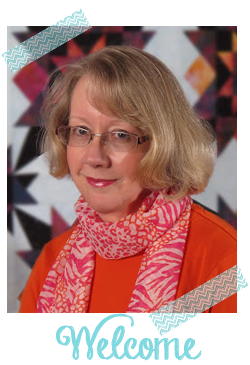 One of the block parties at Ruth's Stitchery next year will also use Marti Michell's templates -- I can't wait to see what it is! 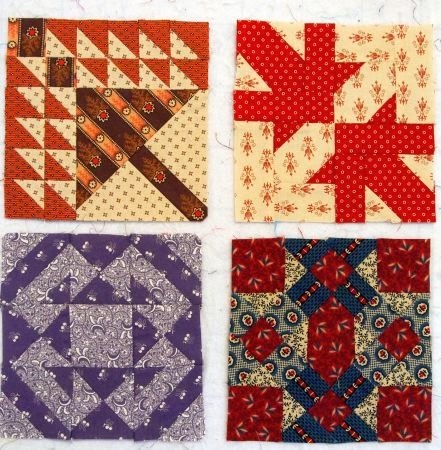 I have only one more block to make for my Amish With a Twist quilt. Here is "Hole in the Barn Door." I decided I don't want to use black for the background -- too predictable! I saw a customer buy some lovely aubergine Northcott solid fabric at the shop the other day, maybe my background should be purple! I'm plugging away at my 3D Patchwork Sampler blocks. I really should place my hand in the photo to show how small these blocks are! Each pinwheel finishes at 4"! It takes the better part of a day to make one month's worth of these tiny blocks, but they are so worth it! Clockwise, from upper left, Block #95, Temperance Tree; Block #63, Ozark Maple Leaf; Block #53, Jackknife; and Block #24, Country Path. Only four more blocks in this quilt, woo hoo! Linking up to Design Wall Monday at Patchwork Times. 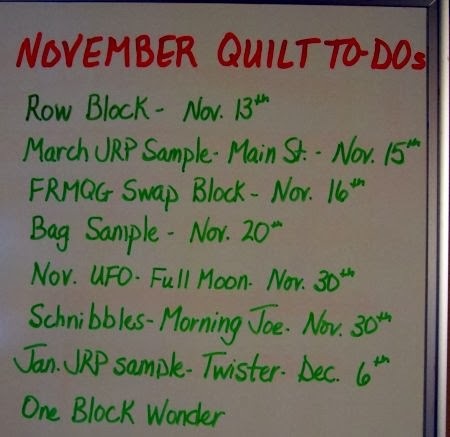 I have quite a list of "Quilt To-Dos" for November. What's on your list this month? You DO have quite a month of stitching ahead. I LOVE those tiny pinwheels. 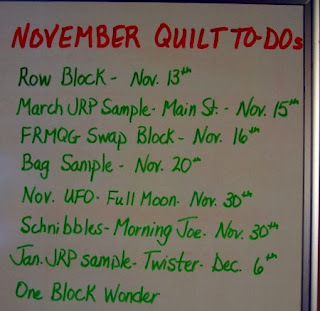 It's going to be a BUSY month. 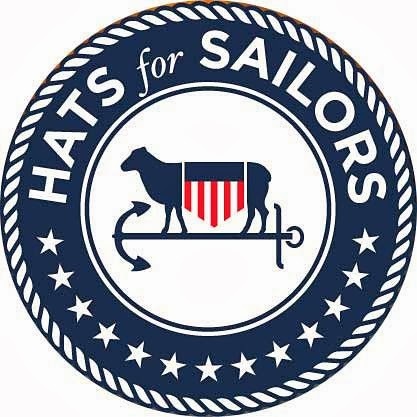 YEA, for getting more Farmer's wife blocks done. You are a busy girl. The pinwheels are so cute! What sa wonderful group of BOM blocks! It certainly looks like a lot of work! I love your farmer's wifes blocks I am getting ready to start mine at the beginning of the year! Wow, Marti!! I can't believe how many blocks you got finished. Really terrific. I love how you have specific dates on your monthly goals. I've veered a bit from my monthly list and am trying to completely finish 2 of my cousin's quilts. Just one day's worth of hand quilting left and I can start on that scalloped binding. . . (that will take forever!) 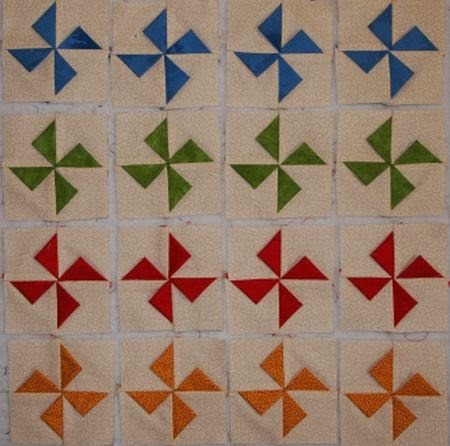 And I've got a good start on the quilting of one of her others. Not sure how long it will take - should have it finished by Thanksgiving so I can attach the binding and stitch that down over the holiday.